Celebrate Christmas here at the Old Red House, from the 1st of December through to the 24th we will have our festive menu running during lunch times &evenings. 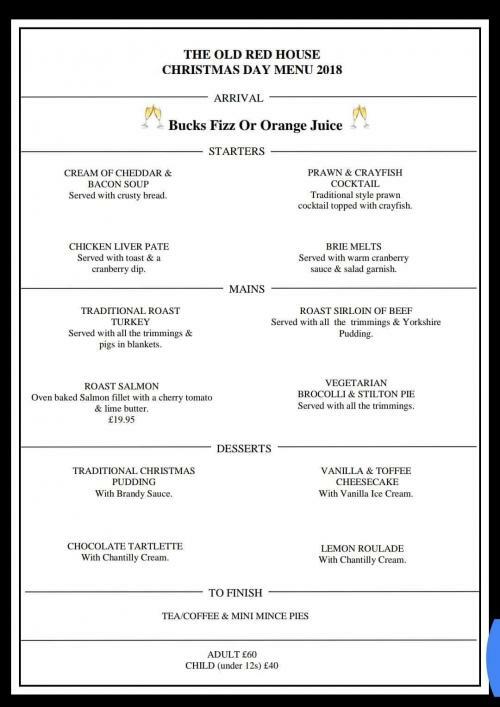 For our festive menu we ask for a £10 deposit per person &a pre order for menu choices per person. 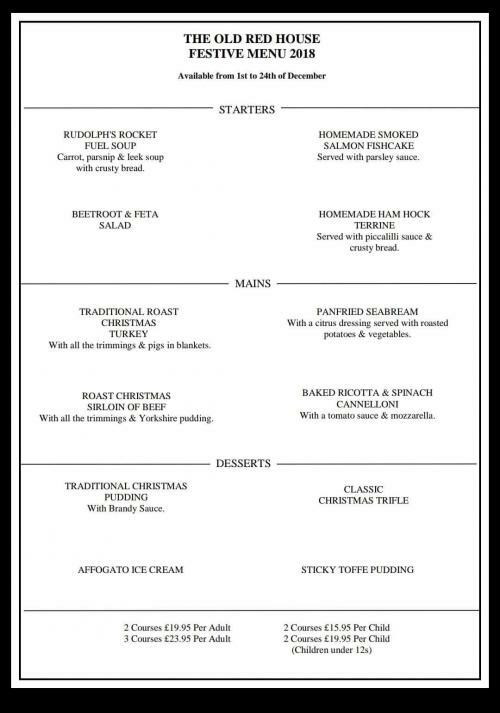 For our Christmas day menu we are serving 12pm to 3pm bookings only.. We ask for a £25 deposit upon booking. Then we ask that you have menu choices &the remaining balance for the 1st of December. We look forward to seeing you throughout the Christmas period.